At MyGentleLase Electrolysis & Skincare we help to discover and enhance your skin’s natural beauty. 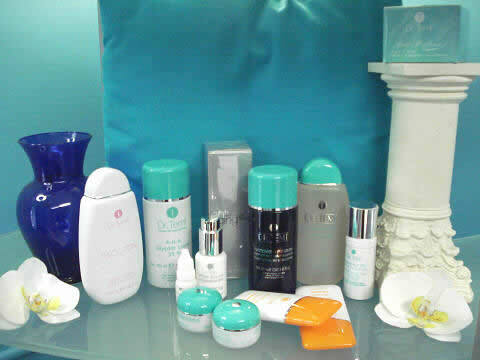 Youthful appearing skin is our specialty and focus. Beginning around age 35, the skin starts to lose tone and elasticity. It’s natural ability to produce collagen and hyaluronic acid decreases and overall moisture retention is lessened. When combined with free radical damage from the sun and other environmental or lifestyle factors, the signs of aging intensify: fine lines and wrinkles, roughness, dryness & hyperpigmentation appear. Our anti-aging skincare treatments are designed to minimize and eliminate these signs of aging with the exclusive use of Dr.Temt’s rejuvenating line of skincare products. Dr.Temt’s master chemist Anti-Aging Hydro Silk, & Glycocid skincare product lines are formulated using pure water from the Austrian Alps and natural ingredients collected from the Austrian countryside’s finest raw materials. The ultimate in skin care facials.